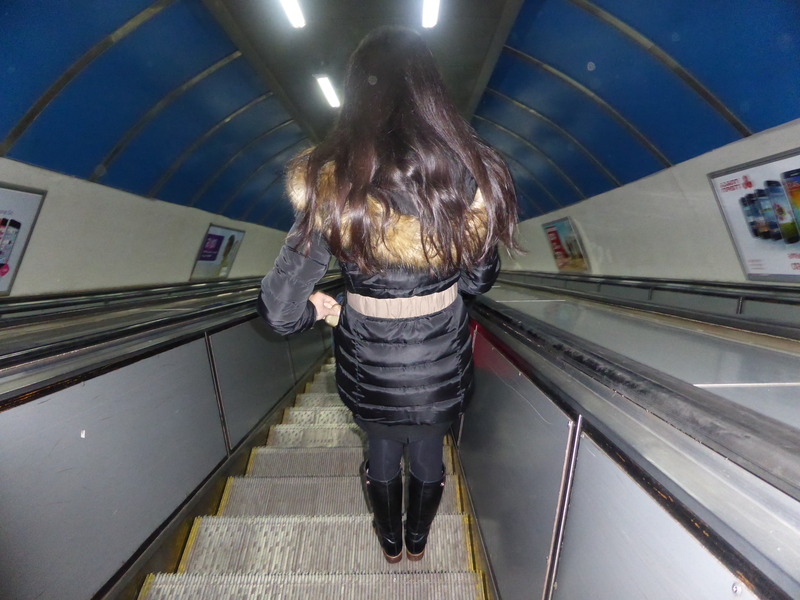 The current challenge asks: “So what’s your muse — what subject do you turn to frequently, more inspired each time?” Strangely my inspiration comes from my daily journeys, commuting on the metro, descending the escalators of various metro stations. I like the symmetry, the sense of motion and the slightly naughty idea of taking photos in forbidden places. 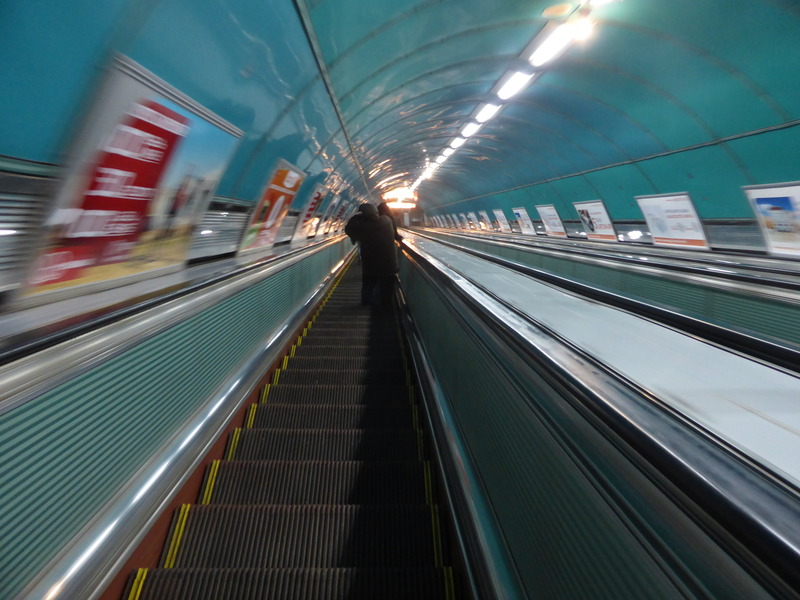 (In Tbilisi taking photos on the metro is forbidden). 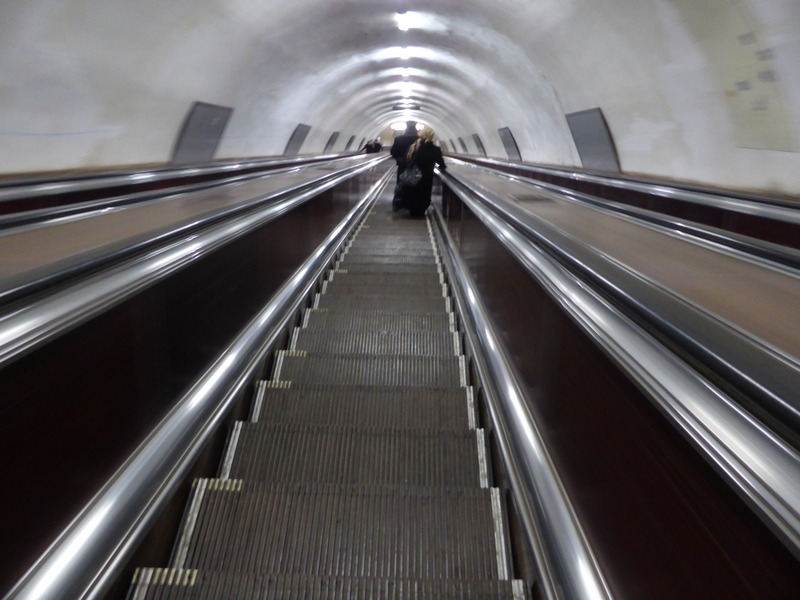 I find I have entered lots of photos of descending the metro escalators into these weekly photo challenges. A cropped version of this is the background for my blog title. 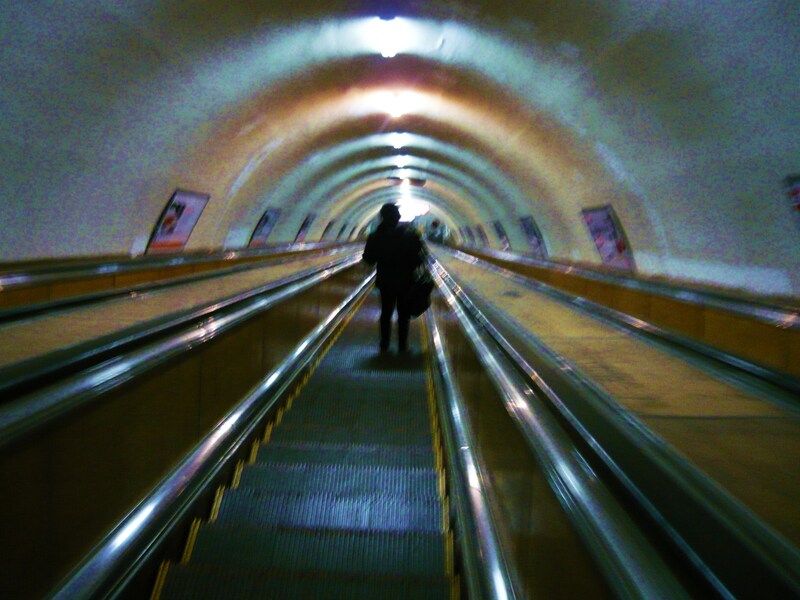 It is forbidden to take photos in the metro in Tbilisi. This is like a red rag to a bull. Gives me the feeling of being an intrepid photojournalist, sneaking in shots. 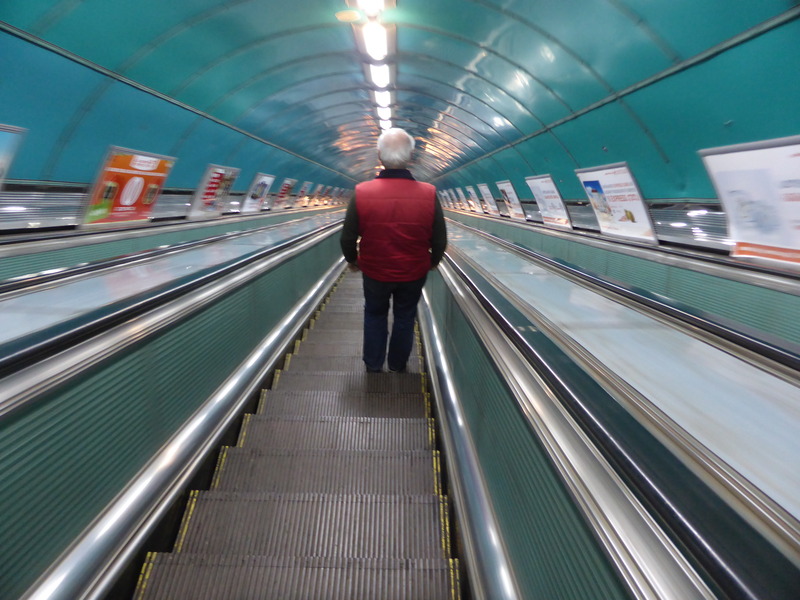 Here descending the escalator at Rustaveli Metro.